As a part of the Polish Heritage Days celebrations, Lord Alderdice invites you to the talk by the award winning author Clare Mulley on secrets and lives of Krystyna Skarbek – Britain’s first and longest serving female special agent of the WWII on Monday, 29 April at 6pm in the House of Lords. Polish-born Countess Krystyna Skarbek, aka Christine Granville, was Britain’s first and longest serving female special agent of the Second World War. The vital intelligence she smuggled across borders prompted Churchill to remark she was his favourite spy. Despite arrest, Krystyna used her guile to save not only her own life, but also those of many of her male colleagues. For her courage and achievements in three different theatres of the war, she was awarded the OBE, the George Medal, and French Croix de Guerre. The Spy Who Loved has been optioned by Universal Studios and led to Clare being decorated with Poland’s national honour, the Bene Merito. This event is part of the Polish Heritage Days supported by The Embassy of the Republic of Poland in the UK. Throughout my career, on almost a weekly basis, I have found myself the only woman in the room. It has been disappointing, frustrating and on few occasions even intimidating, but it has also provided me with the determination to create opportunities for women and to challenge the status quo. I remember the experience of meeting a small group of the Taliban elders in Kabul. Since the encounter took place at the British Embassy, they had no choice but to politely engage with me. The meeting went well – I was able to share some valuable lessons about the Irish Peace Process and establish some rapport with those rather intimidating men. During that trip, I learnt that Afghanistan had a higher proportion of parliament seats held by women than the Northern Ireland Assembly at Stormont (where I worked at the time), which was shocking, but also encouraged me to act. On my return, I decided to host a dedicated TEDxStormont Women event to provide a platform for female voices in political and public life. I also developed and delivered several capacity building programmes to support and nurture the future female leaders and others interested in public service. Alongside this, I was appointed as Northern Ireland Ambassador for Women’s Entrepreneurship Day and organised gatherings to celebrate, empower and support women in business. Currently, as a part of the Global Thinkers Forum Telemachus programme, I mentor young women, role which is both humbling and rewarding. I have also just been appointed as an Advisory Board Member for the Global Women’s Narratives Project, an exciting initiative whose purpose is to gather and share personal narratives of lived experiences of women around the world. So, how the best to #BalanceForBetter? I can’t think of a better response than one of my favourite quotes by Amelia Earhart: “The most effective way to do it, is to do it”. It is really not that complicated. Everybody, women and men alike, have many everyday opportunities to create more equal and balanced world. Some may be able to influence policy and bring on radical shifts; others, through simple ordinary actions can contribute to incremental cultural changes – just answer an e-mail when asked for support, talk to a younger woman, be inclusive, invite your female colleagues to meetings and events, don’t be afraid to ask for help and don’t be afraid to speak up. Recently, I came across a really fascinating TED Ideas article on trying to tackle big problems – it suggests we should ‘think like a bee’. According to a beekeeper Marianne Gee, a bee in her lifetime produces only one twelfth of a teaspoon of honey, which is a tiny fraction of what a typical colony needs to survive. “A bee won’t even directly benefit from the honey she makes; instead, it will allow future generations to thrive after she is gone. This too is how we can change the world — by not worrying about the size of our contributions and by letting our efforts join the actions of others”. Sometimes “thinking small may be the best way to think big”. So, let’s start balancing for better. You know it makes sense! Eva Grosman is an Alumna of the Saïd Business School, University of Oxford; CEO of the Centre for Democracy and Peace Building and a Research Associate at St. Benet’s Hall, University of Oxford. Join us for a talk on inter-faith dialogue by Lord Alderdice on Monday, 4 March at 5pm at The Athenaeum, Pall Mall, London. 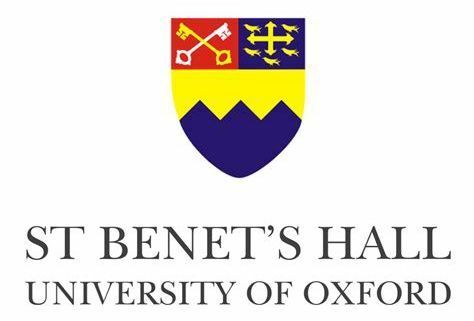 The Centre for the Resolution of Intractable Conflict (CRIC) is a multi-disciplinary research and conflict resolution centre based at Harris Manchester College, University of Oxford. For some years we have been applying cutting edge field-based research methods from the cognitive and behavioural sciences, in collaboration with the policy community, to better understand and address fundamentalism, radicalization and politically motivated terrorist violence. We have also been involved in various peace initiatives around the world and now for the first time we are offering a short training workshop to make our experience more widely available. 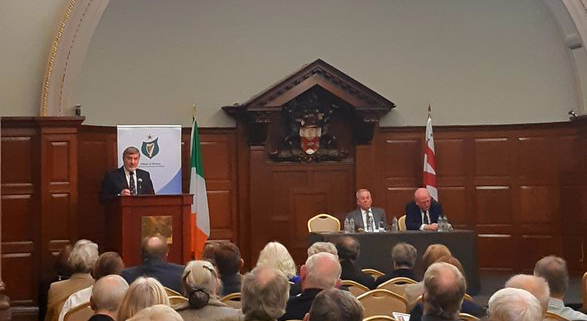 The workshop, which will take place from 18 to 20 March in Harris Manchester College, Oxford will be led by CRIC Director, Lord Alderdice, a key figure in the Irish Peace Process and Dr Jerry Fromm, President of the US-based International Dialogue Initiative (IDI). They will be assisted by faculty from both organizations and will provide a teaching and training experience that is likely to be of interest and value to those working in this field, or interested to move in that direction, whether national or international government agencies, NGO’s, academia or consultancy. Participants will receive a Certificate of Attendance from CRIC as well as useful papers and the opportunity for subsequent follow-up. These are difficult and frightening times. Democracy is fraying and peace is hard to find. Those of us who are committed to building democracy and peace could be forgiven for feeling dispirited. So Christmas is all the more welcome for the powerfully paradoxical message that it brings. At a time of year when it is cold, dark and wet, we come together to celebrate the Dayspring that came in just such a time as a poor, helpless, little refugee, threatened by powerful forces, in a country under violent occupation and yet is for us, two millennia later, still the Prince of Peace and the most powerful, indeed the ultimate inspiration for our lives and our communities. We may feel downhearted that, in the words of the late great Seamus Heaney, “The world has turned into a big Ulster”. A depressing thought you may feel, but what were Heaney’s last words? According to his son, the Latin text that Seamus Heaney sent by mobile phone to his wife just before his untimely death was ‘Noli Timere’ (Do not be afraid!). It was the same command that Jesus gave to his disciples in Matthew 14:27. They were out on the water when their boat was caught in a storm. They were terrified, and even when they saw Jesus walking to them on the water they were not reassured, fearing that he was a ghost. But he told them not to be afraid, and instead to be of good cheer. 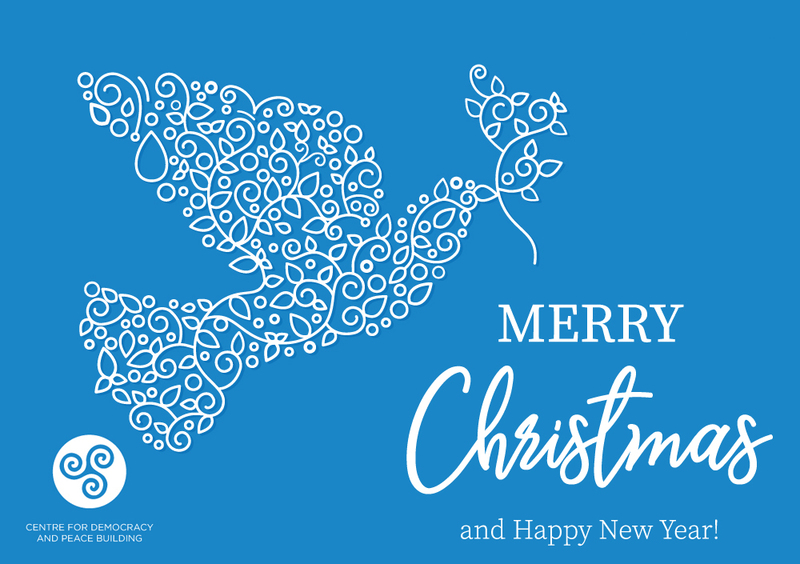 As our ship of state is tossed about and we seem to be surrounded by the ghosts of past conflicts and assailed by the fear of new ones, may the Christmas Season imbue us with new hope and a re-invigorated commitment to the building of peace, justice and freedom from want and fear. Noli Timere.